The Traeger grill is designed to roast pork cuts to perfection and leave you free to cook the accompanying dishes. A Traeger grill includes an electronically controlled thermostat to regulate the temperature and smoke level during the cook. An auger twist automatically feeds wood pellets from the hopper onto the heater core as needed to maintain the desired heat levels. Pork can be cooked slowly at a low constant temperature on a Traeger grill for optimum tenderness, moisture retention and flavor. Season all the surfaces of the pork generously with salt and pepper. Add chili powder and other dry spices for a more complex flavor. Set the dial on the front of the hopper to the "Off" position. Plug the power cord into a grounded electrical outlet. Use a grounded three-prong outdoor extension cord to stretch to outlets that are out of the grill cord's reach. Lift the lid off the pellet hopper at the side of Traeger grill. Fill the hopper to within an inch of the rim with new dry Traeger wood pellets. Store the grill inside a garage between uses if wood pellets remain in the hopper. Turn the dial to "Smoke," and lift the lid on the Traeger grill. Set the pork roast on the grill grate after five minutes of heating. Lower the lid. Cook the roast for four to eight hours on the "Smoke" setting. More time gives the pork a stronger smoke flavor. 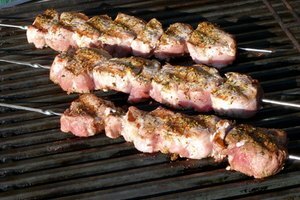 Move the pork from the grill onto a sheet of heavy-duty foil. 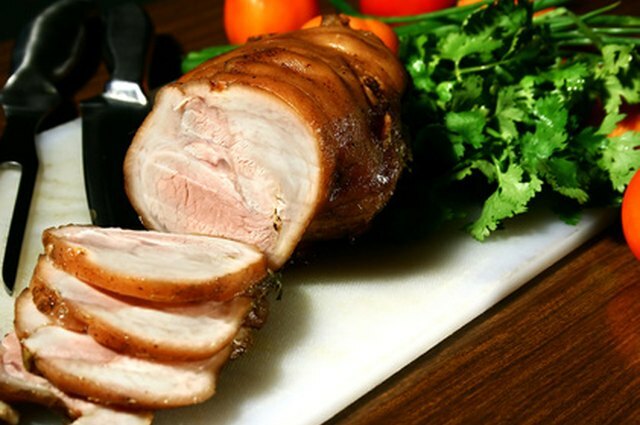 Loosely wrap the foil around the sides of the pork. Place the wrapped pork back on the grill. Pour 1/4 cup apple juice over the roast so it pools in the aluminum foil package. 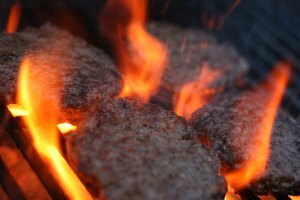 Close the lid on the grill, and cook for another hour. Insert a probe thermometer into the thickest part of the pork after the hour has passed. Increase the heat setting on the dial to 350 degrees F if the internal temperature of the pork is still below 170 degrees F. Close the lid, and check the temperature again in 10-minute increments. 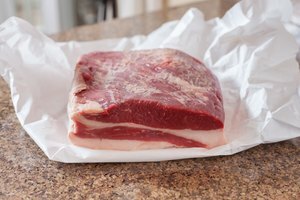 Move the pork to a platter or cutting board once the internal temperature reaches 170 degrees F. Peel away the aluminum foil to slice and serve after 15 minutes have passed. Alternative brands of wood pellets may not be the correct size for the auger inside the Traeger. 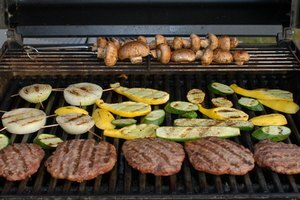 Some pellets contain chemical additives that may leave a damage-causing residue on the heating core of the grill.